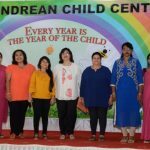 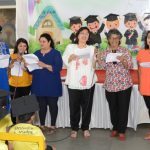 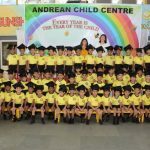 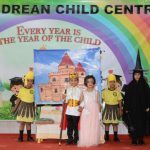 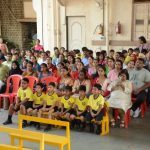 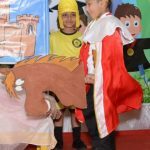 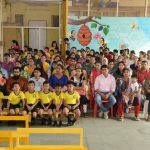 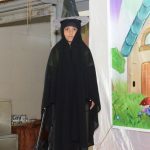 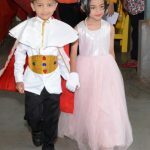 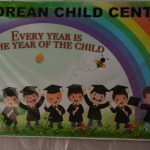 All roads led to the Andrean Child Centre on Saturday, 30th March, as the Sr. K. G. Children had their Graduation Day in the Annexe Andrea. 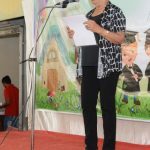 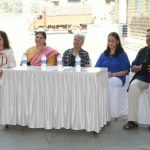 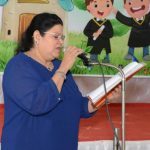 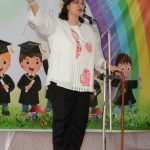 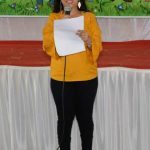 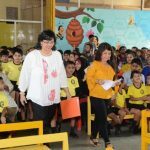 Our Chief Guest was Mrs. Emma Sequeira, a parishioner of St. Andrew’s Church. 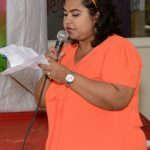 Everyone present was welcomed by M’am Giselle as she highlighted the activities and various events held throughout the year. 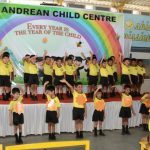 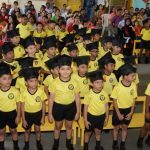 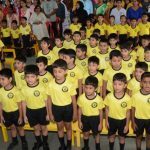 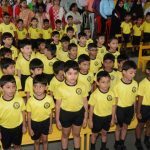 The programme began with the children singing the School Anthem, Mission Sunshine song and by welcoming everyone with the Welcome song. 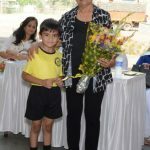 Our Chief Guest was felicitated with floral tribute. 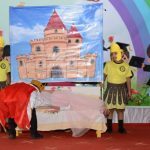 The children then presented a short musical act, ‘The Sleeping Beauty’. 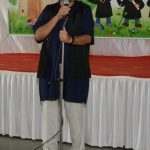 The entertainment continued with the Professor Ph. 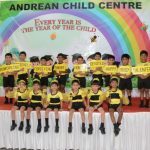 D. song and the Bee song. 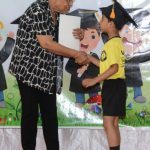 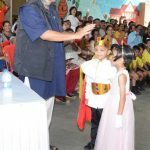 Some children were awarded prizes for the academic year 2017 – 2018. 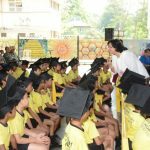 This was followed by the most awaited ‘Convocation Ceremony’ and distribution of the diplomas. 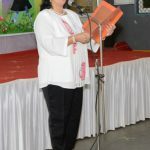 The morning came to an end with a farewell song by the boys as well as tribute from the staff. 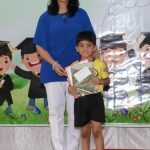 Our proud graduates and happy parents carried home wonderful memories of this day.